Looking for some cute bohemian boots to wear this winter? It's hard to believe I was in Thailand less than 48 hours ago and now I'm standing in the freezing cold again! Those 3 weeks of sunshine have been soooo good! I can't reminder the last time I really took a holiday without work, collabs and time to myself. And YES I loved it. But enough about those sunny white beaches. 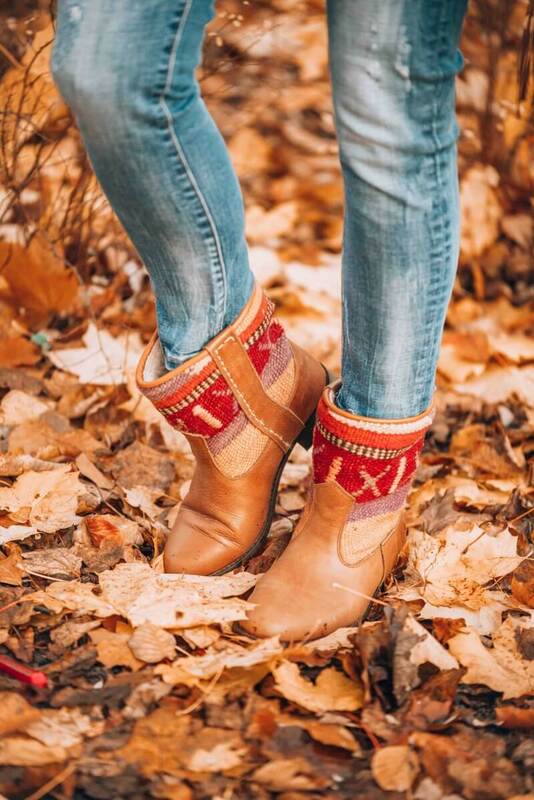 It's time to take about these cute bohemian boots! Being in a constant state of frozenness I need my feet to be warm. Really warm! That's why I love these boots so much. You have probably seen me wearing these more often, but that's because I love them so much! These handmade leather ankle boots go perfect with your skinny jeans or under your maxi dress. And best of all; the lammy lining keeps your feet nice and warm. 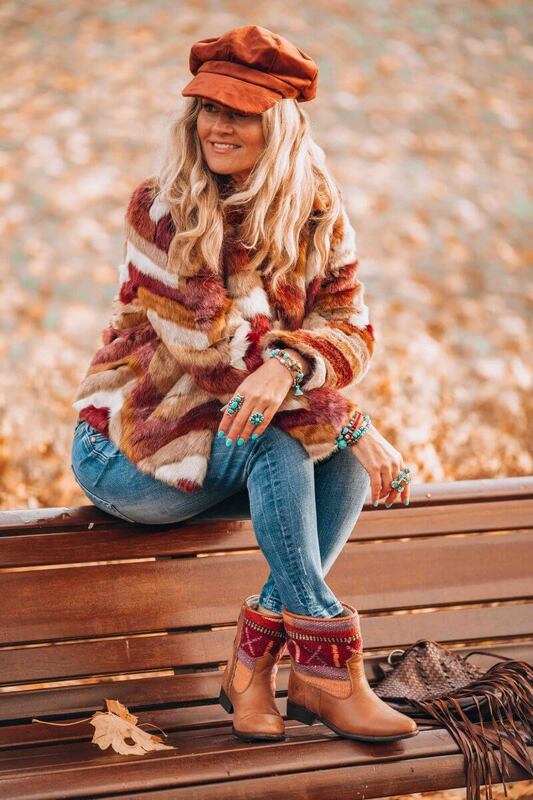 What do you think about this winter boho look? Let me know and drop me a comment below! Big thanks to The Kindreds for teaming up with me on this blog. For more on The Kindreds click here or follow them on Instagram. Ps: Don't forget to sign up for my weekly newsletter and stay in the now! A nice look! Love the jackett but also the bag, where can i find this bag?